I’m a sucker for some really salty smoked salmon on a bagel loaded with cream cheese, onions and capers. 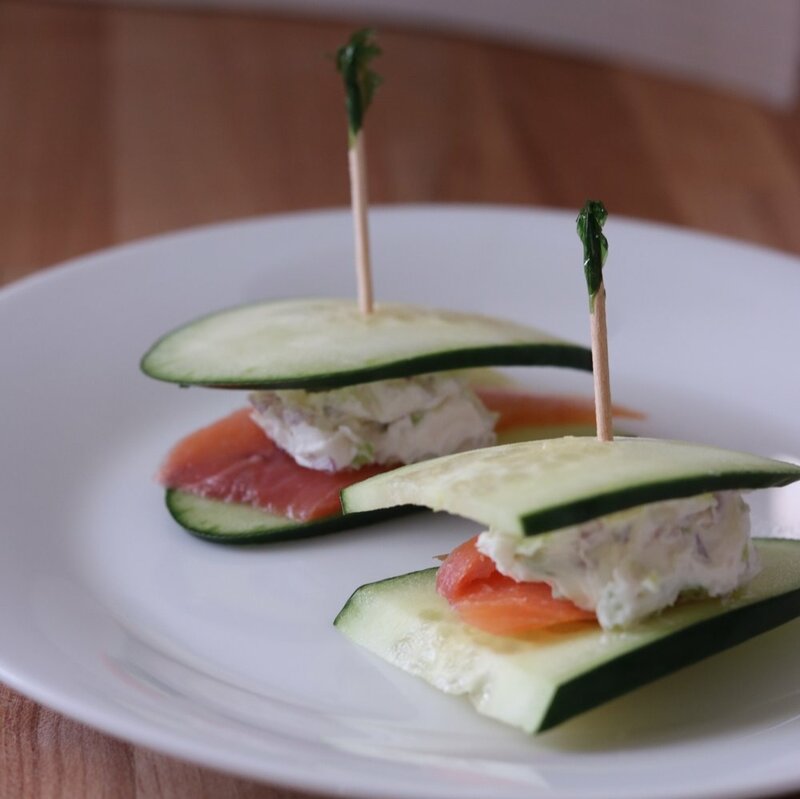 So this easy appetizer is the gluten-free version of my dream come true. 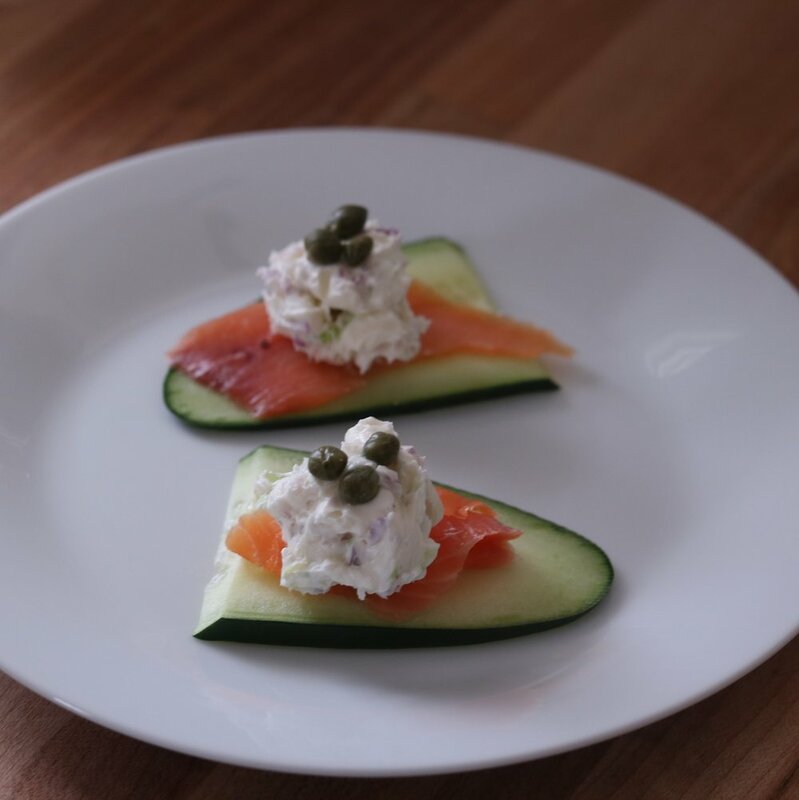 It’s super easy but looks beautiful and is sure to impress come brunch time. Save some time by prepping all of your ingredients the night before — makes for easy assembly in the morning! Mix cream cheese, red onion and green onions in small bowl. Use a mandoline to thinly slice the cucumber. Lay out cucumber slices on a tray. 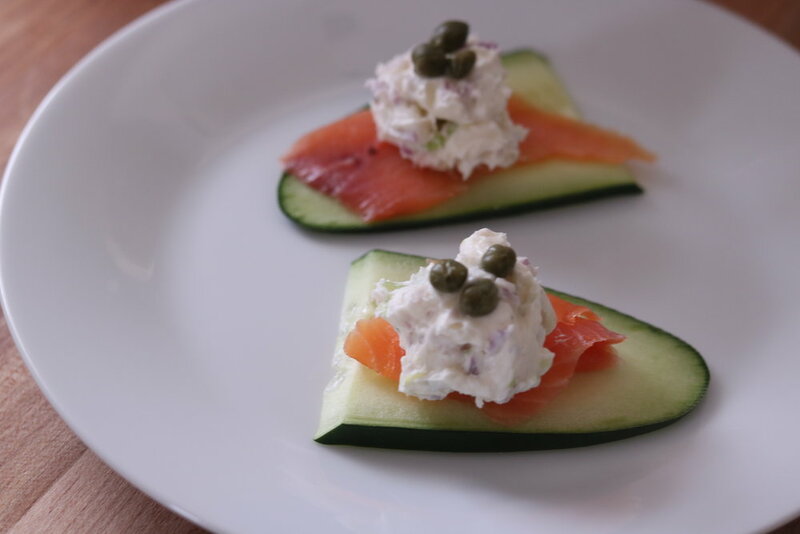 Place a small slice of salmon on each slice. Add a small ball of cream cheese on top. Sandwich another cucumber slice on top, if desired.